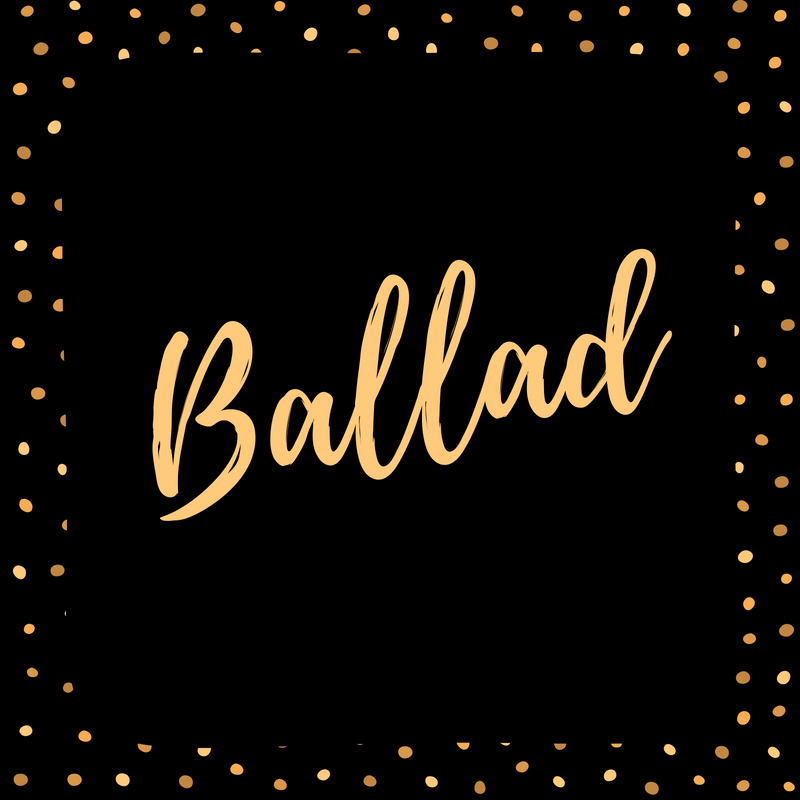 Genre Literary Criticism Literary Terms What is Ballad? Explain. Ballad is an old English pattern of story meant for singing which is full of anecdotes conserve by memory and handed down orally. A ballad is a form of verse, often a narrative set to music. The term derives its name from medieval French dance songs or “Ballares”. In theme and functions they may originate from Scandinavian and Germanic tradition of story-telling that can be seen in poems such as Beowulf. I. A song that tells a story. II. It is verbally transmitted. III. It concentrates on single episodes. IV. It deals with material or universal appeal. VI. It lacks superfluous details. VII. It has abrupt ending.